I find that one of the most helpful resources is to use pictures of your animal Just google pictures of the animal you are trying to make. Find profile pictures and front pictures. This gives you the outline shapes you are trying to achieve. Then it's like sculpting with clay. 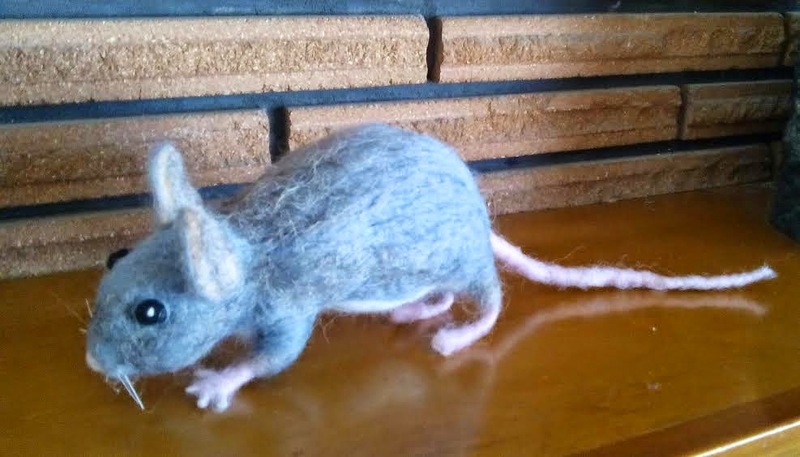 You add bulk using the outer wool you wish and needle felt it to specific areas of your core project to create the right body shape to your animal. Yesterday it occurred to me that there was something wrong with my rat/mouse which I had made awhile back, so I went to pictures of rats and pictures of mice to assess the problem and sure enough the body shape was not right. It was not very difficult to correct the discrepancy. First I determined that he looked more like a big mouse due to larger ears. I clearly needed to add more wool to give my mouse a more rounded back. He also needed a pointier nose so I just needle felted that area a little bit more to make the fibres more dense. He also needed bulgier eyes so I made little balls of wool for new eyes. Finally he still needs a longer tail and some more whiskers and I will be working on that today. All of these changes were made from using pictures. Pictures are a key resource for making your animals look realistic. It took me a few days to figure out how I was going to do the bear claws on these wildlife bears. Finally I came up with a solution that is quite realistic looking and definitely moves the bear from looking like a cuddly creature to a wildlife animal deserving respect and personal space. Their claws were made with very thin cloth wrapped floral wire dipped in melted beeswax. I also had to figure out how to secure them, which took a few days to think through how I would do that. Here is the result!